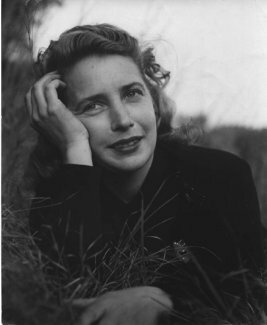 (1910-1952) Despite her short 42 years of life, Margaret Wise Brown was one of the most prolific and iconic of 20th century children’s book authors. In her lifetime, she was known for her lavish and sensational style of living. She worked with dozens of illustrators, wrote under several nommes de plume, and published with multiple houses. Her stories continue to inspire contemporary illustrators with the spare simplicity of their storylines--very often with animals as characters--which leave much to the style and imagination of the individual artist. Iconic. Classic. Revered in the world of children's books. Enormous. We're working on it.